Fives was entrusted by Foshan Chengde for project management of its new stainless steel line in 2016. The new CAPL will produce 200, 300 and 400 series stainless steel products intended for different applications: construction, machinery, automotive, household appliances, medical equipment, chemical containers and aviation. The project includes the complete project management of the line: engineering, purchase, supervision and commissioning, as well as design and supply of Fives' proprietary equipment, such as Stein annealing furnace and DMS SkinPass 2Hi. The first coil, produced on June 10, 2018, met all the requirements in terms of quality and performance. 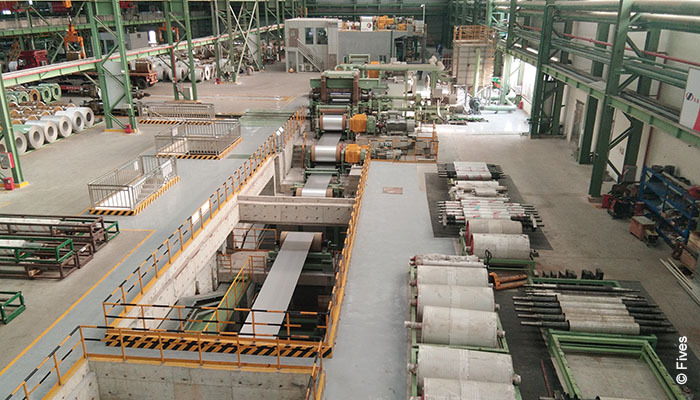 The equipment was manufactured locally, and was installed and commissioned by Fives Stein Metallurgical Technology, a Fives’ subsidiary in Shanghai (China).